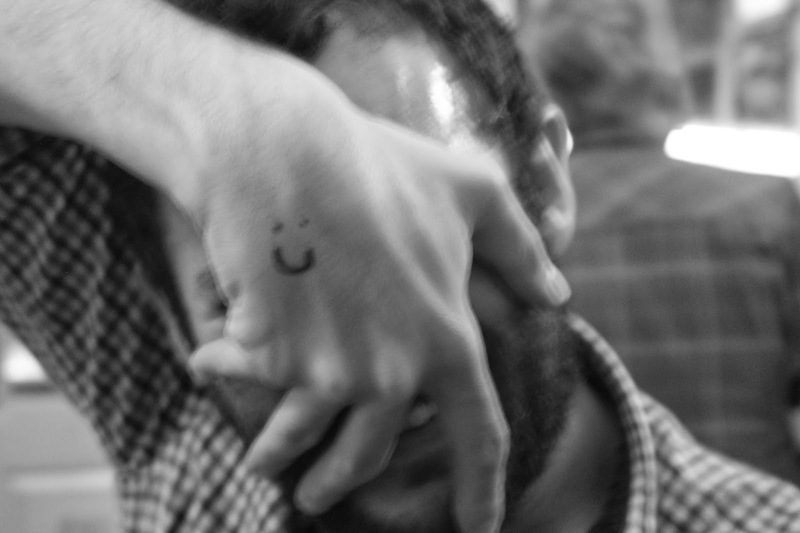 Me, displaying an ace gig entrance-stamp. Ears For Eyes has been fortunate enough to publish many interesting end-of-year lists by some fascinating people. 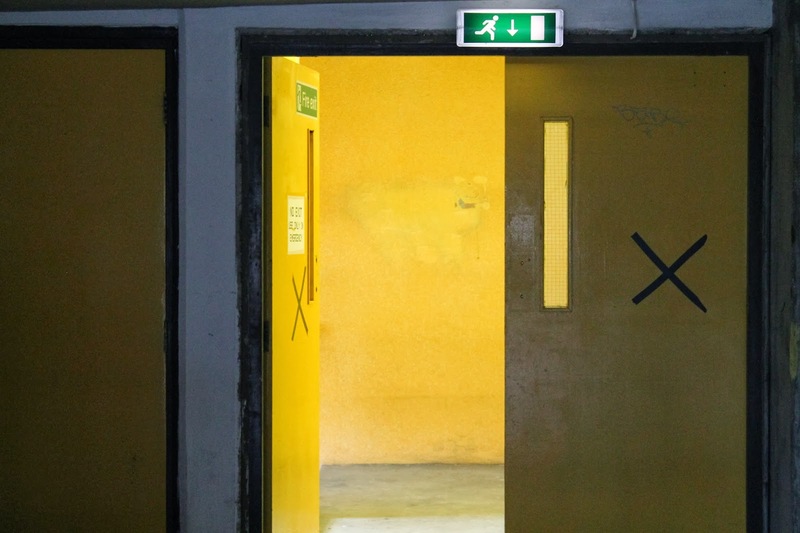 Now, I’m afraid, it’s time for you to read my thoughts on what has fed my nucleus accumbens throughout the year, beginning with a summary of my encounters with the music venues of London. 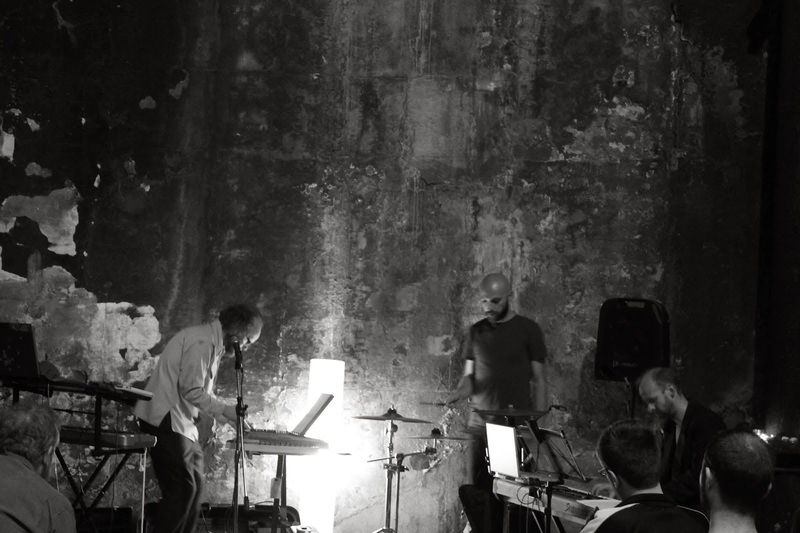 The Cafe Oto, situated in Dalston, continues to be an essential presence on the city’s live music landscape, regularly putting on unmissable gigs. The Thing were a band drunk on their own joyous noise, performing a set of such brilliance that it echoed in my head for days; ecstatically exciting, they are a band that trip the nerves like few others, they played a furious and exhausting set. 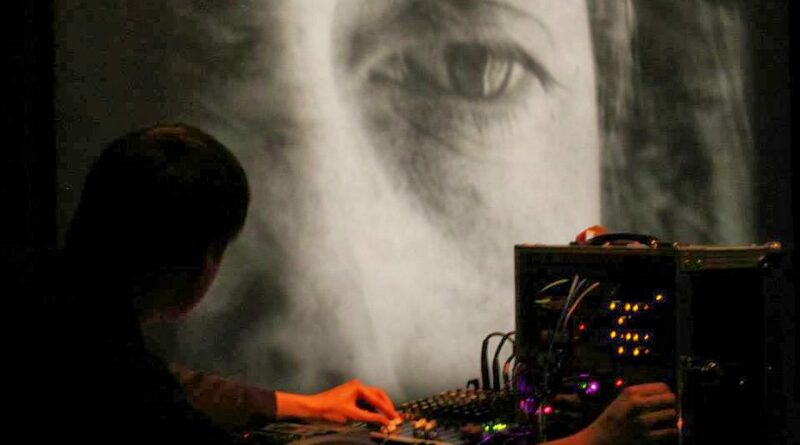 Slow Listener and Áine O’Dwyer performed on the same evening, both entirely different in their music but united in the execution of singular musical visions. Áine O’Dwyer played a set of unforgettable beauty. Performing songs from her recent album ‘Anything Bright or Startling’, absolute silence reigned in the audience; these utterly beautiful and deeply beguiling harp compositions were played with heart-stilling grace and a complexity that buried the attention of the listener; it was a rare performance of musical magic, totally captivating and hypnotic. Slow Listener’s sound was full of gonged water bowls, drone wobble, sudden clicks, rusted bloop and hiss, and steadily accumulating rumble; the pained aquatic bangs bouncing around the walls resembled forgotten tools in a dead person’s shed, moving and clanging together of their own volition. 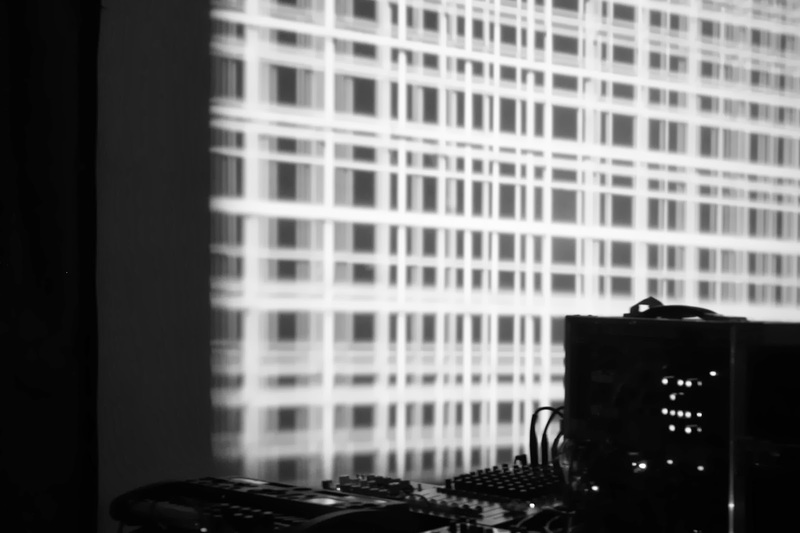 Keith Fullerton Whitman conjured an insane poetry from the wires of his modular synth. It was impossible to grasp any sustained patterns in the madness of electronic splatter that he created; the set was a masterful display, a stunning command of a mercurial process. Beginning with a cushioned heartbeat and busted radio fuzz, Whitman made full use of the quad sound system; moving onto thunder cracks of fierce static, the bounce of ball bearings, sudden violent snaps, and frying-bacon pops; bubbles of human sensible rhythm occasionally emerged from a chaos of flickering machine strobe-decisions. Luke Younger played a devastatingly good set of drone and rumbling menace with Paul Clipson providing a backdrop of dream-like projections, improvised live with the music. Similarly magical was Aether Music, a double-bill taking place in the lovely environs of the Horse Hospital, near Russell Square. The artists involved were not so much inhabiting the uncanny valley as dynamiting deeper trenches within it. First act, Paul Snowdon’s Time Attendant alias, stirred a cauldron of liquid beat driven electronic bloop ‘n’ hiss; alternately sweet and caustic, haunted and corporeal, structured and chaotic; Time Attendant was a stylophonic maestro, a wizard of wires. Sarah Angliss’ set was a miniature chamber-orchestra of bells, smeared voices, bowed saw, keyboard, and the whirring head of a ventriloquist’s dummy. Fundamentally strange but enticingly so, like an inviting haunted house, presiding over a series of sound-pieces and subtle torch songs that included some wonderful moments. Among them were: Wolfgang the automaton thumping his drum pads, his “little heartbeat dispossessed” over a mossy pot of rotting loops, decayed melody and human panting; a flexing, breathing handbag at the side of the stage, expanding and contracting in troubling unison with the music; a duet with sister, Jenny, her partner in Spacedog, for a song about the Lankin, a baby snatching mythical intruder: the sound of a squelching infant gargle, effortlessly disturbing and thought provoking. My favourite part of the evening was a nautical love song with beautiful lyrics, addressed to a submariner , “I’ll lick the minerals from your skin, if you’ll lay upon this bed of mine”; the music encompassed washes of tide, sonar pings, and aquatic distortion; a magical, captivating electro-ballad. Aether Music was entirely successful; it would be difficult to have found an evening of more beguiling, fascinating music. 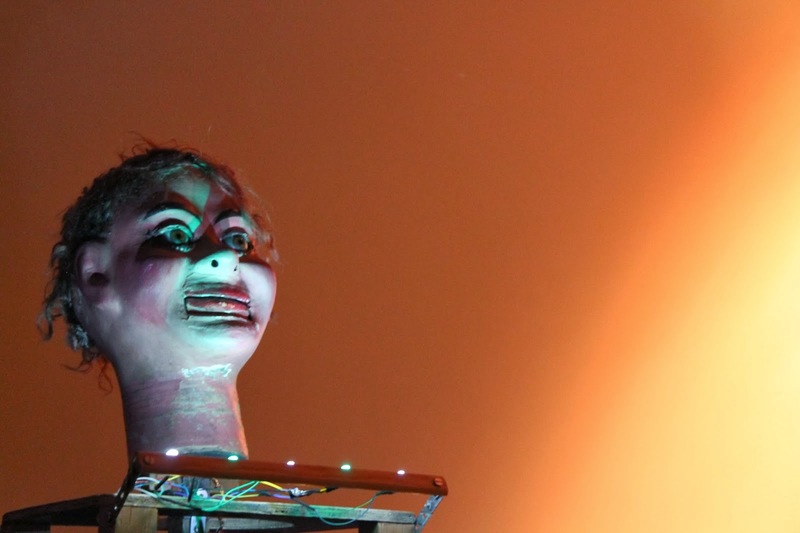 An evening that conjured folklore and monsters from machines and robots, with a full beating heart nestled within a barbed nest of wires, humming with electricity. 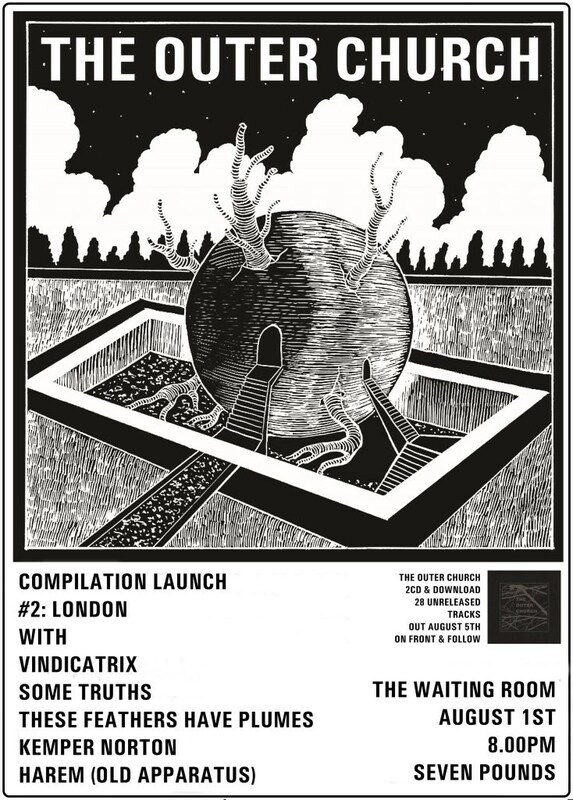 Another arcane evening was had at the London launch of The Outer Church at The Waiting Room in Stoke Newington. The venue’s sweaty basement stage acted as the altar for the invocation of some awesome music, the artists sourced from the compilation album of the same name, masterminded by Joseph Stannard and released on the Front & Follow label. Kemper Norton was possibly the pick of a ripe bunch, his haunted tech-folk a revelatory thing to behold. Andie Brown’s These Feathers Have Plumes was another highlight: beautiful drones, hums and whispers, summoned from electronics and various-sized glass containers. Isnaj Dui and Dollboy also performed underground, but in a deeper and older space. On a hot early autumn’s night, 50 feet beneath the teeming surface of London, a place of total calm was sanctified with some remarkable and affecting music. The Thames Tunnel Shaft under the Brunel Museum is a decaying chapel of decrepitude; walking down a light-entangled scaffold structure, the audience enters a wonderful lichen-soaked concrete cylinder. Dollboy’s performance was an elegy to lost endeavours: a psycho-geographical chamber ensemble; haunted and haunting. Isnaj Dui coaxed harmony from the mud, concrete and centuries of decay; a faded entropic journey; a tapping of musical ley lines. A remarkable evening of music. 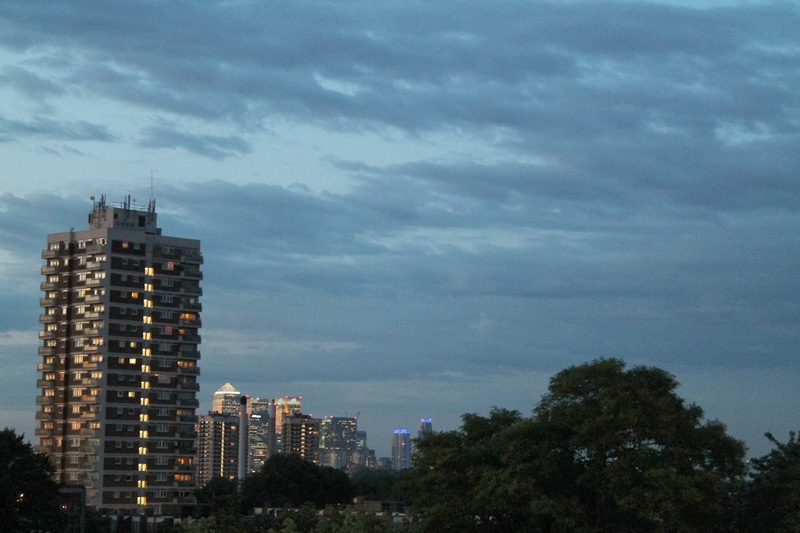 Swallowing two weekends in a scorching July and August, the London Contemporary Music Festival bestrode the months like a concrete leviathan. 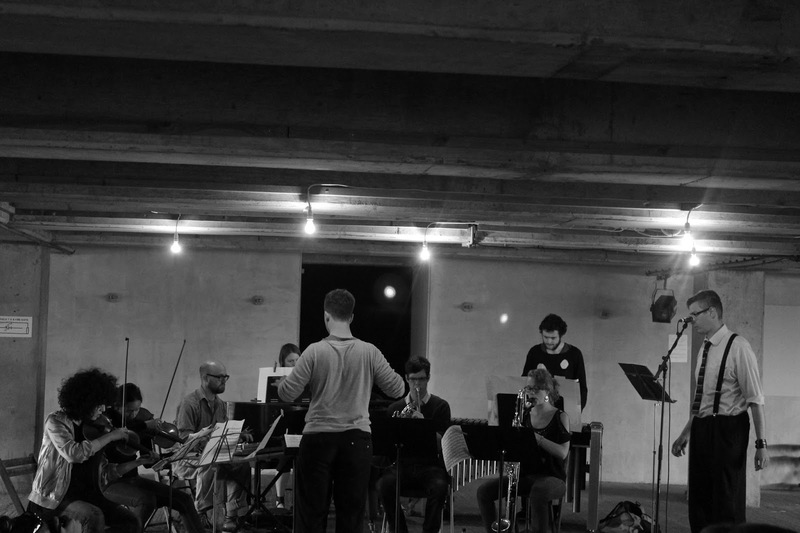 The venue was a multi-storey car park in Peckham; the music was an adventurous selection of new music cornerstones and recent commissions, titans of the genre mixed with newcomers in a chaotic and wonderful blend. Highlights included a storm-battered and bad-tempered performance from Glenn Branca and his guitar orchestra. Jem Finer’s Slow Player: a lengthy set that saw a number of records played at 3rpm or slower, radically altering their sound; a fascinating exhibition of time-suspending drone-hypnosis. Russell Haswell’s roaring circuits and raging magma filled wires. A propulsive and gripping reading of Frederic Rzewski’s ‘Coming Together‘, an amazing group realised an incredible piece of music in a wonderful setting, causing an almost epiphanic moment for this stunned writer; the gathered musicians were a magical ensemble playing with passion and enormous ability; a heart-swelling triumph. The festival climaxed with a performance of Phillip Corner’s performance piece ‘Piano Activities‘, an action of real power, a palpable tension in the room; the violent destruction of a piano shocking the audience out of apathy; that same audience then, at the close of the event, descending on the unfortunate instrument to explore its innards and smash it some more. 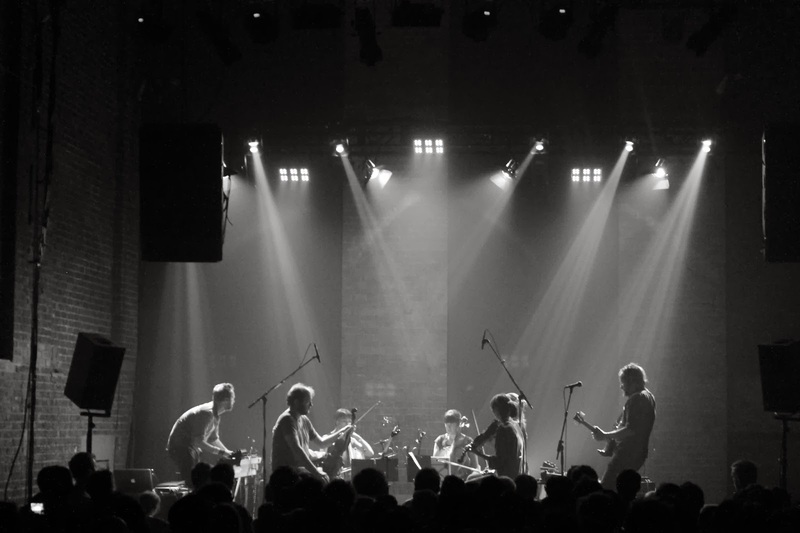 A Winged Victory for the Sullen at the Village Underground in Shoreditch was a night to remember. They played music of beautiful simplicity that quietly hypnotised, emotionally affecting and poignant. Music in which to sink without trace. Two of the most head-battering gigs of the year took place on opposing sides of the river. 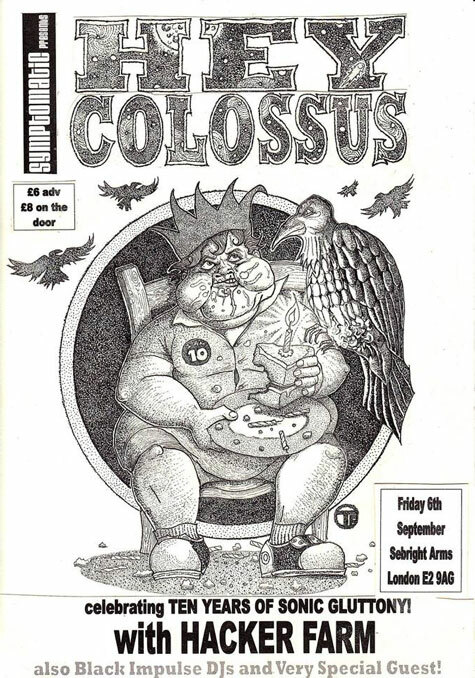 South of the Thames, in Elephant and Castle’s Corsica Studios, Hey Colossus were an un-ignorable sonic assault; aggressively carnivorous, they ripped great gory chunks out of everyone present. The band channelled a psychic unease of almost physical tangibility, drenched in feedback, noise and mental turbulence. The triple guitarists ground out slow violent riffs over menacingly loping bass and drums, the vocalist steadily losing his mind over the duration of the set, convulsing and stretching his neck as he screamed incomprehensible lyrics, like someone waking up in a locked underwater box full of garish nightmares. Tremendous stuff. Pete Swanson played in the basement of Birthdays; the sheer immensity of what he can produce with a few boxes and wires is incredible. I have no idea how long it went on for, it could have been hours, minutes or days; I seem to remember my animal flight response instinct kicking in at one point when I had a weird urge to flee the venue; this compulsion wrestled with the pleasure gained from being obliterated by the screaming machine noise. It was smothering and painfully confusing in the best possible way. If ever an artist was to find the ‘brown note’, it must surely be Swanson. The river itself played host to what is the most enduring of my live music interests, Boat-Ting; a fortnightly music night held at Bar & Co, a boat moored at Temple pier, that manages to surprise, entertain and fascinate with every visit. Captained by Sybil Madrigal and crewed by a rotating cast of awesome musicians, artist, and poets, it is without doubt one of the best uses for your ears. Some of the many memorable moments aboard this year included, N.E.W.’s intense face-flaying noise; the spooky insectoid scrabble of Barrel; a quartet of Ian Smith (trumpet), Pete McPhail (saxophone), Charles Hayward (drums), and Dominic Lash (double bass), playing an electrifying set; Bread & Shed’s deep weirdness; a brilliant trio of Ricardo Tejero (sax), Daniel Thompson (guitar), and David Leahy (double bass), instantly reactive and open-minded; and the surreal and affecting odd-folk of Silence Blossoms. Even with all this fantastic music, Sybil Madrigal is what makes the night special, her funny, warm and inviting compering of the night completely dispels the notion that improv is a lofty austere humourless art form; it is simply for the sonically curious. God’s Mama, her rock group, is as sublimely good as you would imagine; the band sets her poetry to a soundtrack of fiercely grinding punk-funk contortions. The set that stood out for me, in a crowd of excellence, was a trio of Steve Noble (drums), Alex Ward (guitar), and Shabaka Hutchings (saxophone); this was music of sheer joyful abandon, an inferno of molten soul eruptions and impassioned noise, astonishingly beautiful. Boat-Ting really does need the continued support of improvised music fans so, if a Londoner, get yerself down there. Keep the boat afloat! 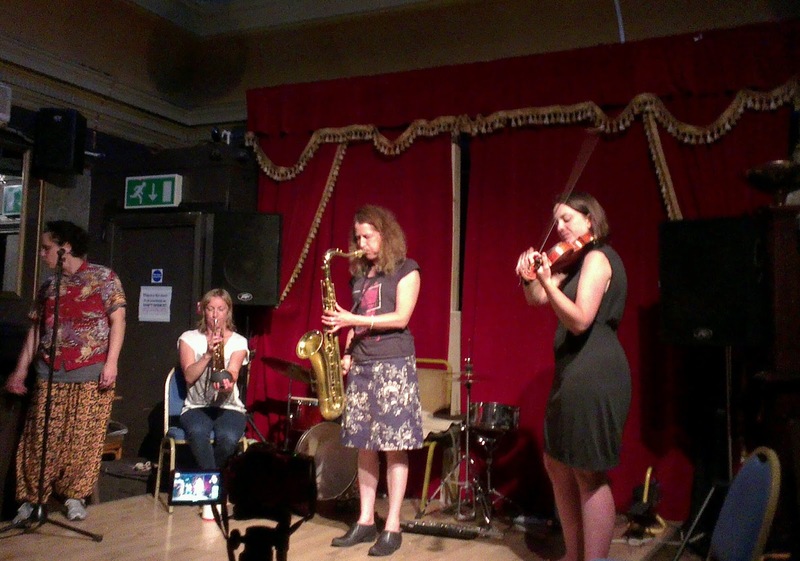 A mention must go to Horse Improv, I only managed a single visit but saw one of my favourite improv sets of the year; a quartet of Sharon Gal (voice), Jennifer Allum (violin), Hutch Demouilpied (trumpet/flute), and Sue Lynch (tenor sax/flute). The sound was full of fluttering, scraping, and thin wheezing; intricately and closely interlinked, playing as one multi-limbed organism; tense and still, like the edge of a storm. A ghostly, hypnotising, intriguing performance; it ended far too soon. 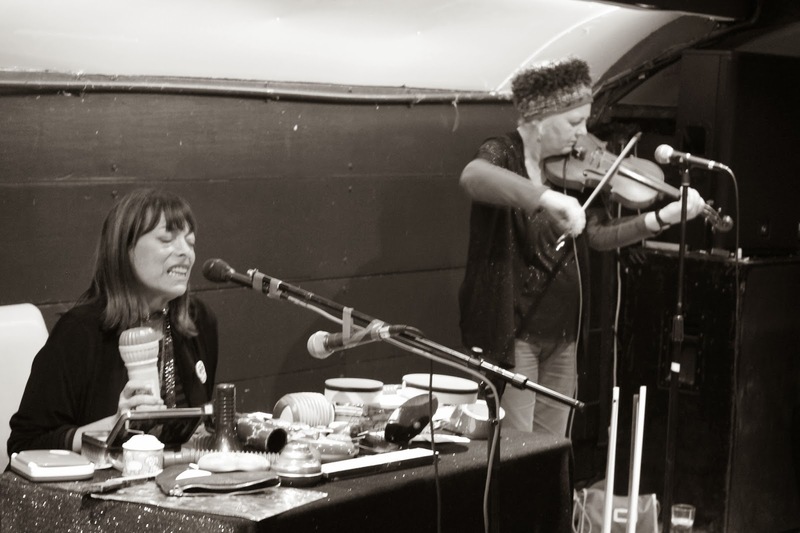 With most of the above acts and venues established and, if not flourishing, at least surviving, we should look at a fledging venture, Lume, run by Cath Roberts and Dee Byrne. Operating weekly, every Thursday, the programme is a great mix of jazz and improvised music. 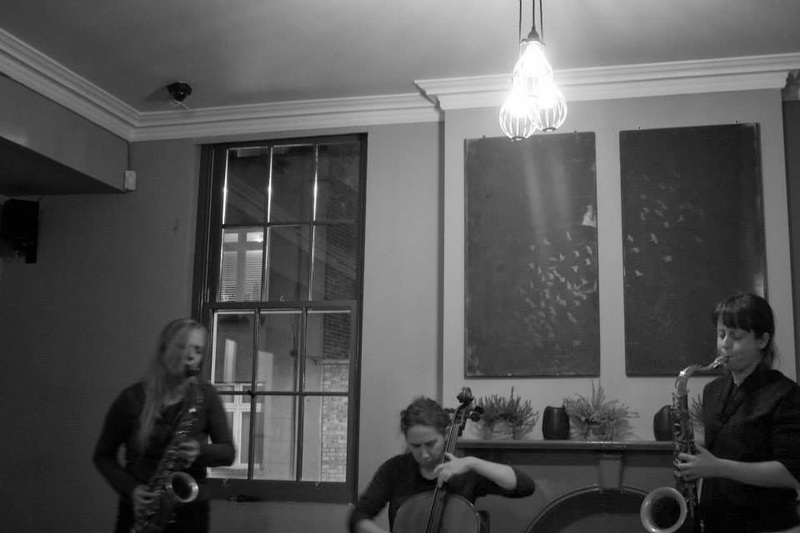 Rachel Musson (sax), Hannah Marshall (cello), and Julie Kjaer (sax) played an amazing set at Lume in November that was one of the best I saw this year; a dynamic union of artists, breathing and thinking as one. 2013 contained an embarrassment of live music riches. For me, it showed how many places I haven’t been to: Mopomoso, London Improvisers Orchestra, and Arch 1 being among the many gaps. However, far from being disappointing, this fills me with excitement for the next year.